Elaine Hancock (Olney, United States) on 11 March 2019 in Architecture. From the archives. 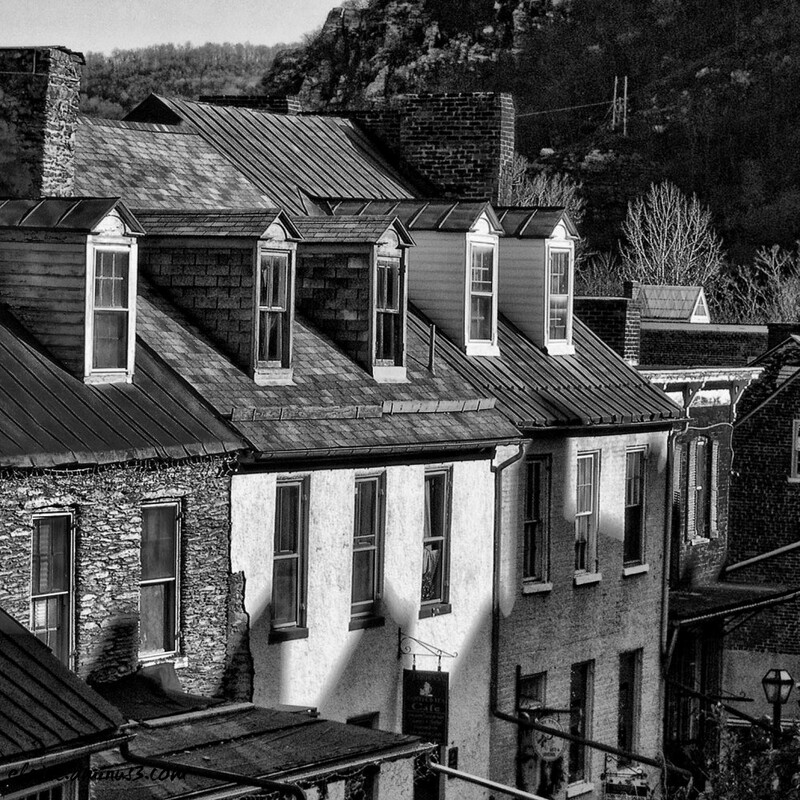 Taken in Harper's Ferry, WV. How symmetrical they are !!! Each will have its own tale to tell . .
Great grainy image, I like the mood. Superbe photo Elaine, j'aime beaucoup. Very beautiful framing and B&W ! Beautiful tones and contrasts and I love how you filled the frame. An interested picture for us repetition. Very nice detail. A gorgeous B&W image of these old houses. I enjoy seeing those dormers on the top floor. They had to make good use of the space by building up and not out. Very nice B&W image. Beautiful angle and composition. Great light shining on the buildings as well.